Sometime towards the closing decades of the last century, the urban crept in upon us. The city had not entirely been invisible before – merely lurking in the shadows of the nation which imagined villages as ethically more desirable spaces of habitation. Dr Ambedkar’s writings were a possible exception, though even in these, critiques of village life and caste structure are more discernible than musings on forms of the urban. It is only more recently that the city has begun to emerge fully, as an object of enquiry – experienced through novels and films, analysed by academics and shaped by policy. 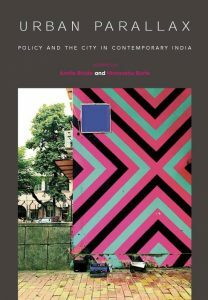 This is also the promise of Urban Parallax, a wonderful collection of essays that sheds scholarly light on the world of urban policy – evaluating policy discourse through parallel reflections on the trajectories of India’s urban transformation. For Abhay Pethe, Vaidehi Tandel and Sahil Gandhi, India is possibly already urban to the extent of 50% or more, rather than the official 31%. Om Prakash Mathur, on the other hand, notes a duality – of unprecedented growth in the scale of urbanisation, the speed of which nevertheless remains slow. All the authors are persuaded, though, that the greater extent of such growth is geographical – through the mutation of rural settlements into census towns – rather than through the migration of people from villages to cities. This is a strain of thought that informs several other essays. Gautam Bhan draws upon Caldeira’s writings on Brazil to underline the auto-constructed nature of Indian cities and the different shades of legality that inhere in them. He suggests that ‘housing’, especially for the poorest, is a not one-off ownership of a material artefact, but is instead realised over generations, through the pulls and pressures of wages, rents and personal circumstances. Thus, the appropriateness of a housing policy cannot lie in its own assumptions and effectiveness but is to be evaluated by the extent to which these ground realities form the ‘common-sense’ of policy discourse. Darshini Mahadevia offers a four-fold division of Indian cities – of the very rich, the upper middle class, the lower middle class and the urban poor – to raise doubts about whether the emphasis on ‘smartness’ and world-class amenities that feature prominently in contemporary urban policies can equally serve all. Anant Maringanti addresses the question more obliquely, drawing our attention to how different localities in Hyderabad are variously inserted in global economic circuits, especially those related to the IT industry, which has implications for the extent to which a uniform, standardised urban package can provide an effective response. These lines of arguments would not be entirely unfamiliar to those who follow the urban literature closely. However, fresh insights are on offer too, as several authors relate these differently situated urban spaces to the ‘local’ of policy domain through a granular description of the political. Himanshu Burte offers a conceptual argument about how the relationship between past and the present may be drawn, both within policy and in our understandings of urban processes. Lalitha Kamath draws attention to the ‘tribal’ governance culture of Mizoram that leads to the municipal council acquiring a hybrid and distinctive character in Aizawl, while Bhide counters the ‘Delhi-centred’ narrative of policy through a close reading of the slum policies initiated in Bombay through municipal and state-level agencies. The point is not simply to understand the local as the place where central policy measures are translated to a greater or lesser degree of effectiveness but, as Bhide writes, to imagine the local itself as space where policy options may be conceived. 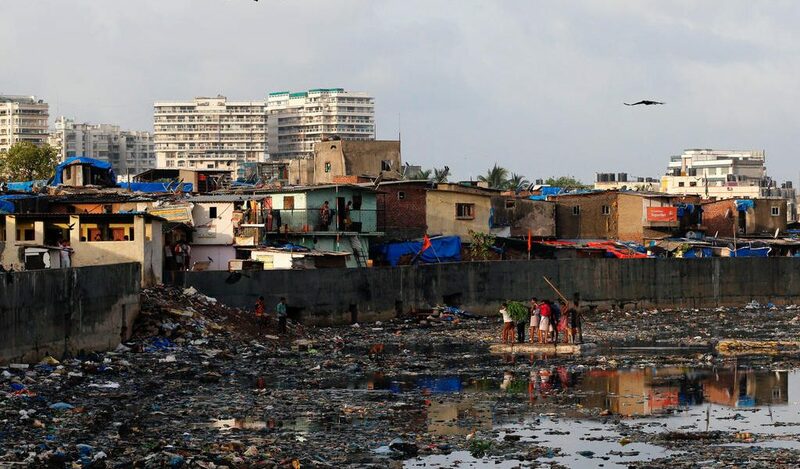 On all these counts – the significance of local policy spaces; the need to understand policy in conjunction with urban processes; developing sensitivity to the unevenness of the urban and in asking normative questions about the direction in which policy ought to guide Indian urbanism – the book has much to recommend for itself. Awadhendra Sharan trained as a historian at Delhi University and subsequently at the University of Chicago. His current research is focused on economies and cultures of waste and pollution in colonial India. 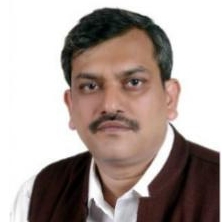 In addition, he has initiated a new research project on Urban Infrastructure in India.